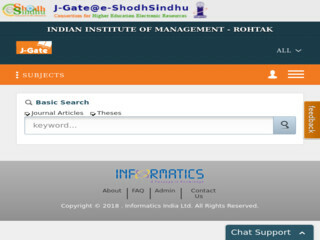 J-Gate is an electronic gateway to global e- journal literature. J-Gate provides seamless access to millions of journal articles available online offered by 13,238 Publishers. It presently has a massive database of journal literature, indexed from 45,143 e-journals with links to full text at publisher sites.